The property is situated within the popular village of Sellindge with its local shop and post office, church, village hall and pub. There is a popular village primary school and bus stops nearby provide easy access to secondary schools in Folkestone, Hythe and Ashford. The Cinque Ports Town of Hythe, approximately 5 miles distant, provides a wide range of amenities including 4 supermarkets (including Waitrose, Sainsburys and Aldi), a vibrant High Street with various independent shops, boutiques, cafes and restaurants, together with a selection of sports and leisure facilities, golf courses, swimming pool, etc. Ashford is around 7 miles distant and offers a wider range of amenities. 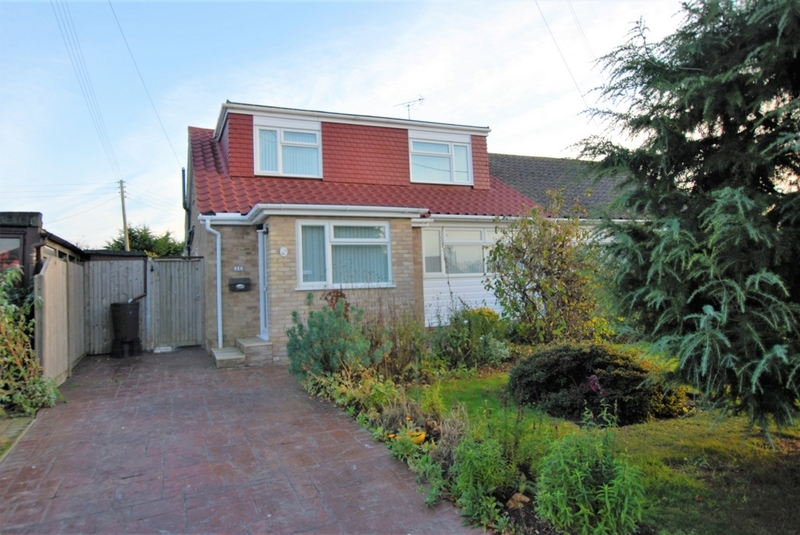 This attractive semi detached bungalow has been thoughtfully extended and now offers deceptively spacious accommodation which totals in excess of 1500 square feet. The property is attractively presented throughout in a smart contemporary style and bright, airy accommodation comprises an entrance vestibule leading to the large reception hall used by the current owner as a study, the generous sitting room is open plan to an equally generous dining area which opens onto the garden and has an archway leading to the kitchen/breakfast room. There is one double bedroom on the ground floor served by a wet room and there is also a utility room. On the first floor are three bedrooms and a smartly fitted bathroom. The well planted garden is delightfully secluded and incorporates attractive areas for alfresco entertaining. To the end of the garden is a detached garage and parking accessed from Whitehall Way at the rear and there is additional parking on the driveway at the front of the property.